Shuvro is a famous character created by Humayun Ahmed in Bangla literature. You may have watched a film named Daruchini Dip. Or you may have heard the name of the film. Whatever, The film has a character named Shuvro and based on a novel by Humayun Ahmed. In Shuvro Samagra You will get a collection of some books or novel written by Humayun Ahmed based on the character Shuvro. Shuvro Samagra is written by Humayun Ahmed. 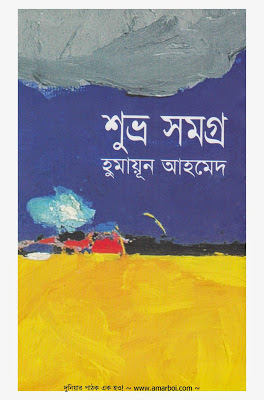 Shuvro Samagra is the very popular book in Bangladesh. Shuvro Samagra by Humayun Ahmed is the very good book and this book is the combination of five stories. These stories are also popular particularly. Daru cini Dip is one of the most popular of these. A film has made from this book and the name of the story is Daru cini Dip. In this film the name of the hero is Shuvro. Shuvro is a boy who looks like an angel or a prince. He always keeps eyeglass in his eyes. Actually, the character Shuvro that is made by Humayun Ahmed is not very popular like Himu or Misir Ali. But Humayun has liked this character Shuvro very much.